My size 20 jeans from 2003 "before". I lost 75 lbs. in 1 year eating raw vegetarian. 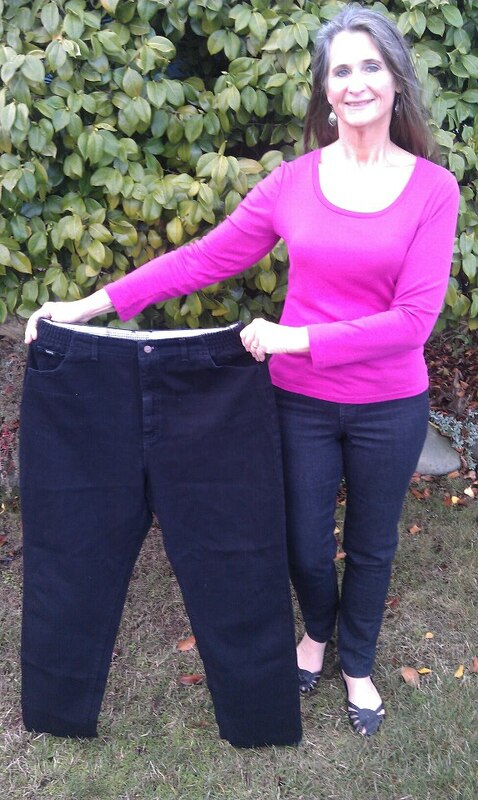 Wearing size 4 now "after" 9 years. One of the things I am most thankful for is a healthy life. I am slim, energetic, and have no health issues. At age 54 this is unusual! In the year 2003 the Lord helped me to successfully lose 75 pounds and continues to help me keep it off. Here’s the short version of my story. In the year 2003, at age 45, I weighed 222 pounds. (I now weigh 143 and wear size 4.) That summer a friend took a picture of me, wearing size 20 with a big belly, double chin, and a puffy face. I knew that it wasn’t me—I felt like a prisoner inside of an obese body. I was miserable. I had tried every diet I knew about and had lost and gained hundreds of pounds since my teenage years. However, I didn’t know how to maintain after losing excess weight and I would always gain it back. 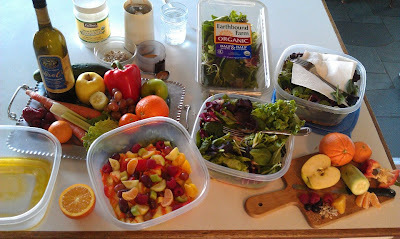 A friend shared a story of a woman who lost excess weight and regained her health by eating an all raw vegetarian diet. I had tried eating 80% raw vegetarian—but it amazed me she ate this way 100%. The author wrote that the raw fiber, raw fats, live enzymes, perfect pH, high water content, and high oxygen content of raw produce are all satisfying to the appetite and that cooked food (especially cooked carbs) trigger overeating. Just like predicted, in one year I lost 75 pounds and all my health problems went away and I became a new woman. That was about nine years ago and I am still rejoicing and enjoying being slim and energetic and healthy! Here’s what I normally eat in a day. For breakfast I enjoy two or three pieces of fruit and a whole avocado —whatever fresh fruit I want—till I’m full. Before lunch I grind up a tablespoon of golden flax seed mixed with chia seed that I have in a jar on my kitchen counter. I grind it in a little electric coffee grinder that I bought at Wal-mart for about $15 that I only use for this purpose. I either stir this into water and drink it, or sprinkle it on my salad. A "Waldorf" type salad is my main meal of the day. 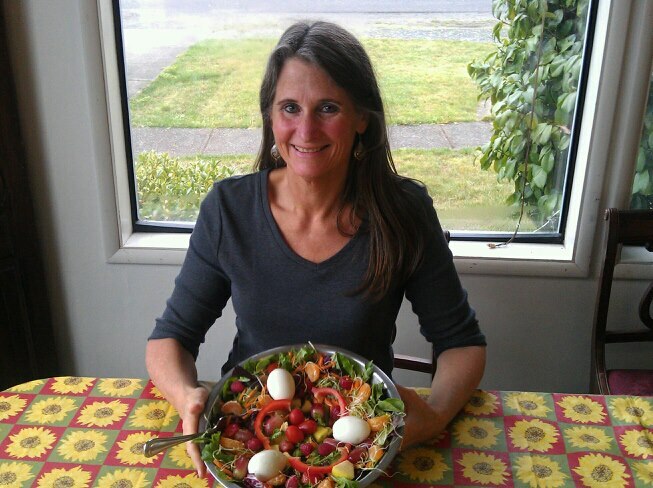 See my YouTube video "Raw Vegetarian--How I Eat" for more info. 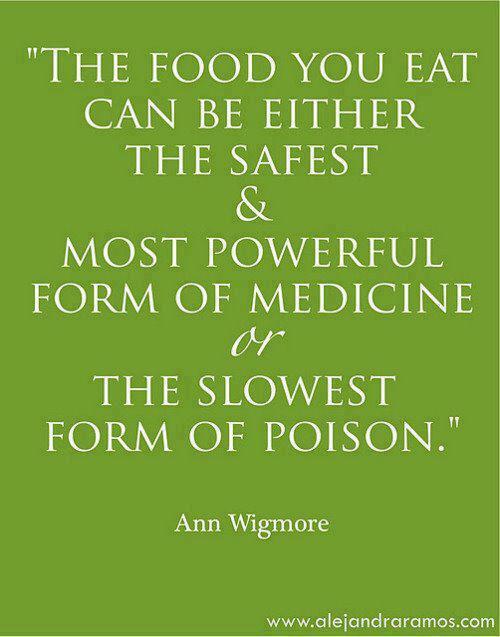 I also enjoy a handful of raw sunflower and pumpkin seeds (or other nuts and seeds) each day. Nuts and seeds can be ground with the flax and chia seeds and sprinkled on my salad, or I will enjoy chewing them. (I limit nuts and seeds to about a tablespoon to ¼ cup a day at the most because I don’t feel well if I eat more.) Best source for truly raw and fresh nuts and seeds is: www.sproutpeople.org and lots of nutritional information is free on this website. My sweet treats are fruit. For example, right now persimmons are in season. Yum! 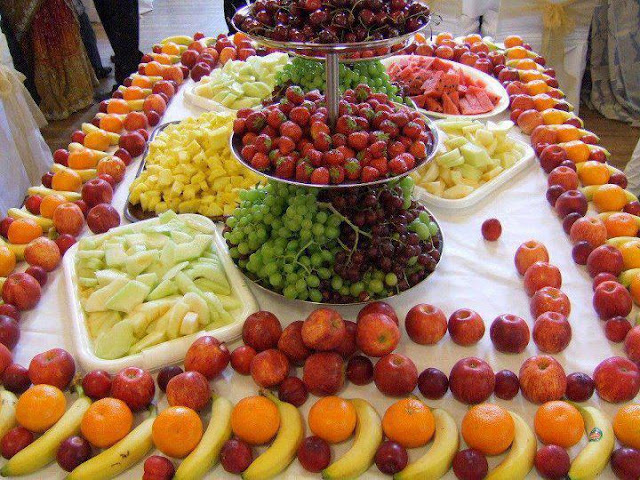 I also enjoy cherries when they in season, nectarines, plums, black berries, figs, mangos, etc.—delicious and nutritious fresh fruit made by God especially for us! I do not eat like the average American, but I’m not sick and overweight like the average American either! Most Americans die of heart disease or cancer. I would like to die surfing in Hawaii when I am 107. Hahaha! 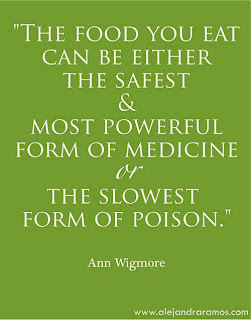 My meals with lots of raw produce with raw fiber, lots of chewing, high water content, high nutrient content, along with extra-virgin or raw oils, all seem to produce “satiety” (satisfied appetite). I used to struggle a lot with overeating—I just couldn’t stop eating—but now when I finish with a raw meal, I naturally stop eating and my hunger is satisfied.